Every election, which is to say every year in Virginia, we hear myths and half-truths about voter registration, ballots, and voting. Granted, some of the confusion comes from the fact that rules do vary somewhat from state to state. This is Part 4 of 4 to set things straight about how elections work in Virginia. Here, we address myths about who can vote. Myth 1: To vote in a primary, you have to be registered in the party holding the primary. Virginia does not have voter registration by political party, so any registered voter can vote whenever a primary is held. If both the Democratic and Republican Parties are holding primaries on the same day, however, you can only choose to vote in one primary. In many states with party registration, you must be registered as a particular party to vote in that party’s primary. And to further confuse voters, sometimes independents or third-party registrants can vote in party primaries – and sometimes they can’t. This could vary from primary to primary, even in the same state. So, in many respects, Virginia’s no-party registration rules are much simpler! Myth 2: You must speak English in order to vote in elections. If English is not your primary language and you have limited English proficiency, you may ask another individual to assist you in marking your ballot. In Arlington, while we don’t have ballots in languages other than English, we do offer ballot information sheets in both English and Spanish. In precincts where we have high concentrations of Spanish-speaking voters, we usually have at least one poll worker who can assist by speaking Spanish. We also have a few poll workers who speak Vietnamese and Korean. Anyone, however, may bring another person to the polls to assist them in marking their ballot, whether the assistance is needed for language or disability purposes. The voter and the person assisting must complete a “Request for Assistance” form. The person assisting does not need to be a voter or even a U.S. Citizen. Myth 3: If you don’t vote in all contests, your ballot won’t count. You don’t have to vote for everything on the ballot. If you leave a race or a question blank, the scanner won’t register any votes for that particular contest. This is what is known as an “undervote,” or a situation where fewer votes were cast than the maximum allowed for the contest. You may not feel comfortable or confident about casting a vote for a particular contest, and that’s okay. The machine will record your votes for all correctly marked contests. If, however, you select more selections than are allowed, the machine reads these marks as an “overvote.” Most ballot contests in Arlington only allow one selection; the exceptions are County Board and School Board every fourth year, where you can make up to two selections. When you mark more selections than allowed, the machine doesn’t know what you want to do, so it will reject your ballot and print a notice of why it was rejected. A poll worker will assist you by looking at the machine notice and advising you of what action you need to take. The notice is helpful because the poll worker is instructed not to look at your actual ballot. If the notice says you recorded an overvote for County Board, for example, the poll worker will advise you to return to the ballot station to get a new ballot. Your original ballot is considered spoiled. You can then mark the new ballot correctly and insert it into the machine. The machine doesn’t reject your ballot if you make fewer selections or don’t vote for a particular contest, however. Instead, it will record selections marked and ignore the unmarked contests. Myth 4: If you don’t vote, you’ll be removed from the rolls. There’s been a lot of information in the news recently about election offices conducting “purges” to remove voters from the rolls. Although this sounds dramatic, it really is a controlled process to assure registration rolls are accurate. Each year the Virginia Department of Elections runs a match of all voter registration records against the Postal Service’s National Change of Address (NCOA) system. If they find a voter with a NCOA forwarding order on file, they send a mailing to that voter, asking them to confirm their correct address. Voters who don’t respond within 30 days are placed in an “inactive” status. This doesn’t mean the voter isn’t eligible or isn’t a regular voter; it only means we have a question about the voter’s address that needs to be resolved. The voter could still contact the office or show up to vote, where they’ll be asked to update their address. If, however, the voter does not respond, after the second federal general election (held every even-numbered year in November), the voter’s record is cancelled. This is the only type of “purge” conducted in Virginia, and it follows legal requirements set forth in the National Voter Registration Act. So, if you don’t change your address and you don’t vote, you can remain on the voter registration rolls indefinitely. You have just as much a right not to vote as you do to vote. Myth 5: If you vote in a certain political party primary, you must vote for the party’s candidate in the November election. Although the fact that you vote in any given election is public information, how you vote is not. You can vote for whomever you want on your ballot, and no one but you will know – unless you tell them! Sometimes, a political party will have a nomination contest, often called a caucus, party meeting, or firehouse primary, where one of the requirements to vote in the contest is a pledge to vote for the party’s nominee in the general election. These are not elections run by the government but instead are party nomination contests. Even if you agree to sign a pledge, there is no way the party can track who you vote for in the general election. That always remains as private as you wish it to be. Myth 6: Convicted felons can’t vote. Virginia convicted felons who have not had their voting rights restored cannot vote, and the Commonwealth is a bit more stringent than some states regarding rights restoration, requiring an order from the governor to restore rights. For many years, this was an onerous process for the former felons that served to deter many from attempting it. In contrast, other states automatically restore rights upon completion of sentence, probation, or parole. In recent years, however, Virginia governors from both political parties have worked to more expediently restore rights to many eligible ex-felons, particularly those convicted of non-violent crimes. The number of former felons eligible to register and vote is far greater than it was several years ago. But they are still not eligible to register and vote until the restoration process is complete. Myth 7: Permanent residents – foreigners legally permitted to reside in the U.S. who are not citizens – can vote in some elections. 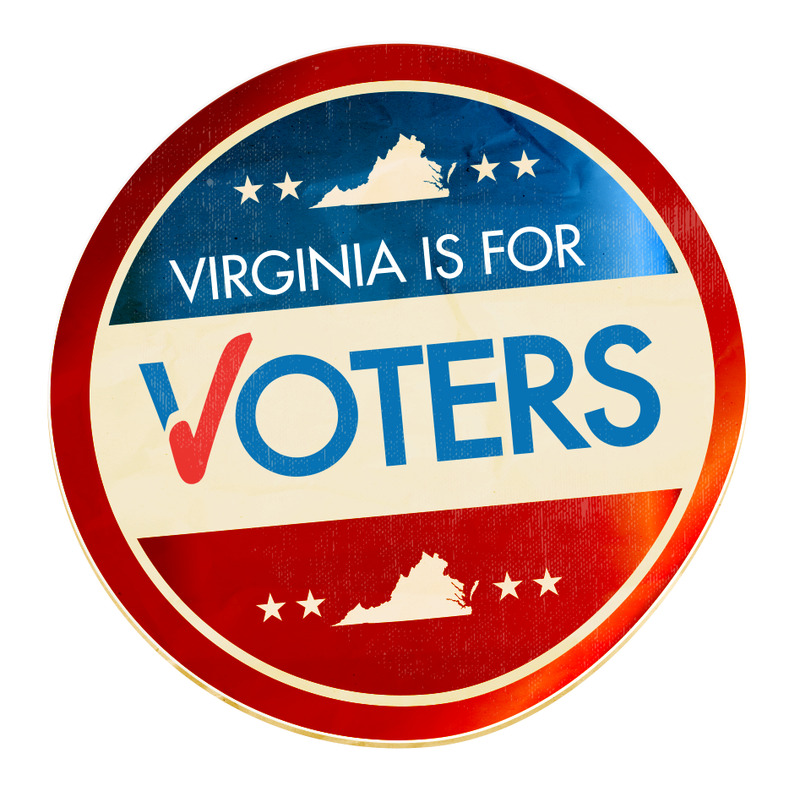 In Virginia, all voters must be U.S. citizens, either by birth or naturalization. In some parts of the country, non-citizens may vote in some local elections, but this is not allowed under Virginia law. That’s another Mythbusters entry: No, you do not need to vote in a primary to vote in the November election! As long as you haven’t moved, your registration is still valid. 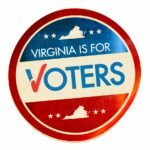 Check your status at vote.virginia.gov. This is clear and informative. The #1 reason why someone should vite intelligently is that doing so connects Tthem with their communities. Its accomplished the moment they cast their Vote. Whatever the final vote turns out to be. Its a good feeling. Like sports ffans feel connected to the sport(s) ththey are fans of. Excellent reason John Swallow! And, I like the sports analogy. I would add that in preparing to vote you learn more about your community and its governing bodies. And, if you vote on the bond issues you find out more about the community needs and priorities that will be addressed by this bond funding.